A concise booklet that describes the 10 most common and costly errors that companies make when preparing product news releases and how to prevent them is being offered by Venmark International of Wellesley, Massachusetts. “The 10 Most Common Mistakes Companies Make When Preparing Product Releases” report clearly explains these typical, but significant errors which include: boasting and exaggeration, promising editors that you will advertise, poor quality photographs, making assumptions about technical knowledge, writing too much copy, and trying to cover too many topics in one press release. In addition to providing specific recommendations, “The 10 Most Common Mistakes Companies Make When Preparing Product Releases” report describes product publicity opportunities, discusses how and why inquiries lead to sales, and addresses the role of product publicity and the impact of link popularity on web search results and organic search engine optimization. 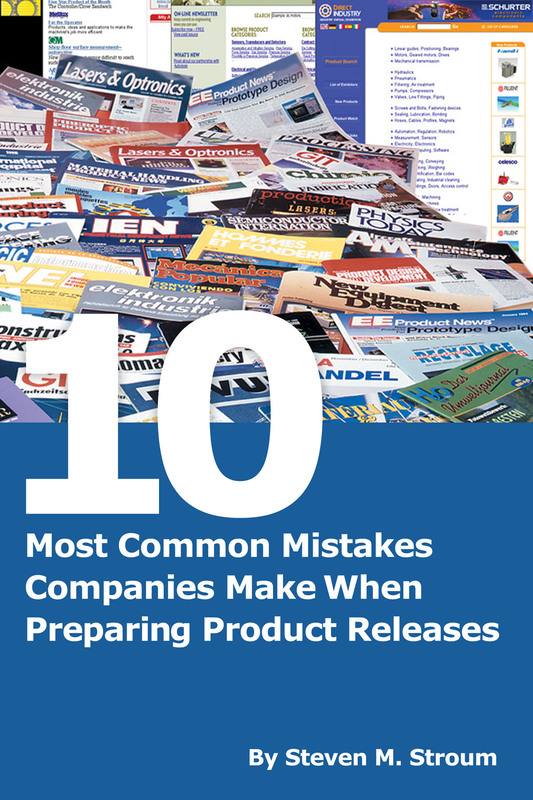 “The 10 Most Common Mistakes Companies Make When Preparing Product Releases” report is available from Venmark International, 148 Linden St., Suite 105, Wellesley, MA 02482.